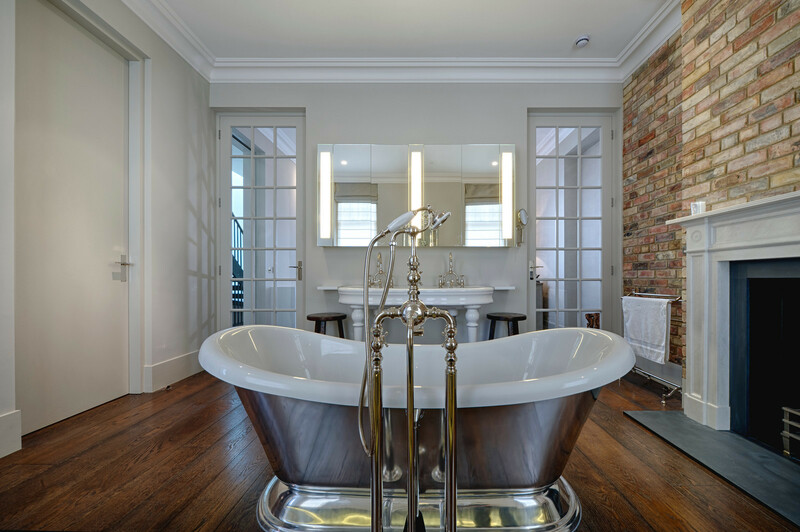 Looking for a professional bathroom fitter in Harborne? Here at Antz Maintenantz we offer our customers a complete service from beginning to end providing them with a soothing reassurance, because we carry out all of the plastering work, electrics, tiling and installation of a new bathroom suite . Our aim is to supply the very best service in a friendly, reliable and cost effective manner. We are a complete team using our own in-house personnel from start to finish and your satisfaction is guaranteed. 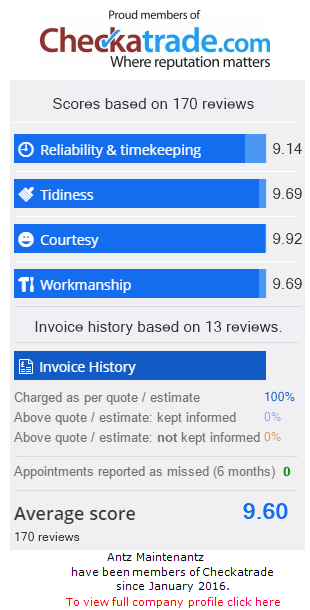 So, if you’re looking for a bathroom fitter in Harborne we’re the team you need! Purchasing a bathroom for installation often starts with deciding on the look, feel and style that you would like to achieve. Whether it’s a traditional or modern bathroom you wish to establish we’re here to offer help and information from the beginning. Here’s a quick guide but don’t hesitate to call us if you’d like to find out more about fittings or the installation process. Baths are often the first thing people think about when thinking about a new bathroom and can establish the style of your entire bathroom. The quality of the bath is usually reflected in its thickness and we would always propose that you decide on the thickest bath that your funding permits. We will make sure that everything is fitted with care and precise fitting – with everything sealed as it should be and the finish looking as good as a show home! Traditional toilets with a lever flush handle can give the timeless look of quality and elegance – While the smooth lines of a modern day design will make cleaning easier with the additional reward of offering water saving dual flush cisterns. If your space is constrained and you wish to maximise your space we can hide the cistern in the bathroom furnishings. Hand basins receive the most use within any bathroom but it is very often over looked when planning on and planning a bathroom layout. It is vital that your basin complements the other sanitary designs but also need to be very comfortable to use. Antz Maintenantz can help you with all of these design issues! Taps can help to complete and complement the style and look of the finished bathroom. Your taps also need to be compatible with your water system. Simplicity of use should also be considered with lever taps available for anyone who has reduced mobility with their hands. Electric showers use water supplied from the cold water mains of your house and heat it on an “as and when” basis – and that means you only use what you need, offering the advantage of not having to store any hot water and can often make them a good choice for second bathrooms and en-suites. Mixer showers come in many sorts and use the water directly from your homes hot water supply. The best thing about this is that they don’t require an electricity supply. As with mixer showers, a power shower uses water direct from your hot water supply (kept in your immersion tank) but with a built-in pump. The advantage of a power shower is all in the name – they offer a much better shower pressure! Much like your bath, the shower space can be the most crucial appliance and area in your bathroom in relation to style and design and if you only have a shower, then is almost certainly the centerpiece of any bathroom. They can supply a washing facility in small areas where a bath will not fit or is not economical due to size limits or offer you the luxury and style of a walk-in enclosure. Bathroom furniture can provide a very good way to add the finishing touches to your bathroom whilst in addition providing functional space for storage. Another added advantage is that they can be used and are often designed to disguise unattractive pipe work that can be a burden to a classy new design. While making cleaning easier by limiting dust traps and providing you with smooth surfaces to wipe over. Lighting is essential to any bathroom. With the practical need to be able to see in the mirror lights can also be used to establish a relaxing mood and ambience for a long soak after a long, hard day. Don’t forget the shaver socket you may not use an electrical razor but you may want to charge an electrical tooth brush! Careful decommissioning and disposal of your old bathroom and appliances. Minimised disruption to other areas of your home. New ceilings in several finishes.